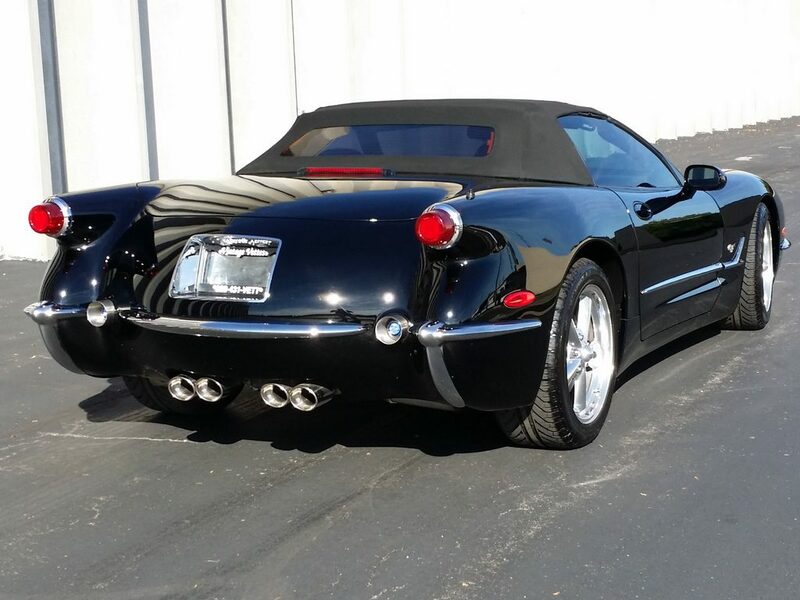 This is a Truly Unique Corvette. 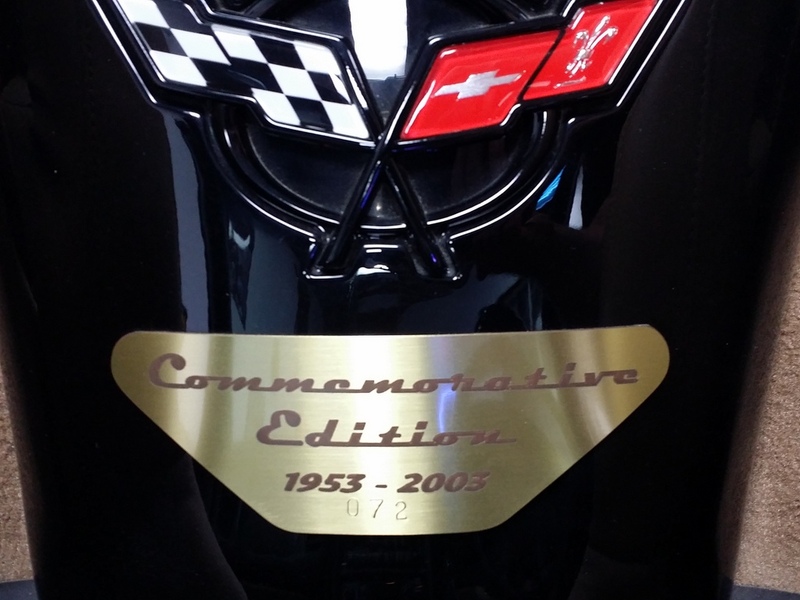 Build after the celebration of 1953—2003 to Commemorate the 50th anniversary of the beloved CORVETTE. 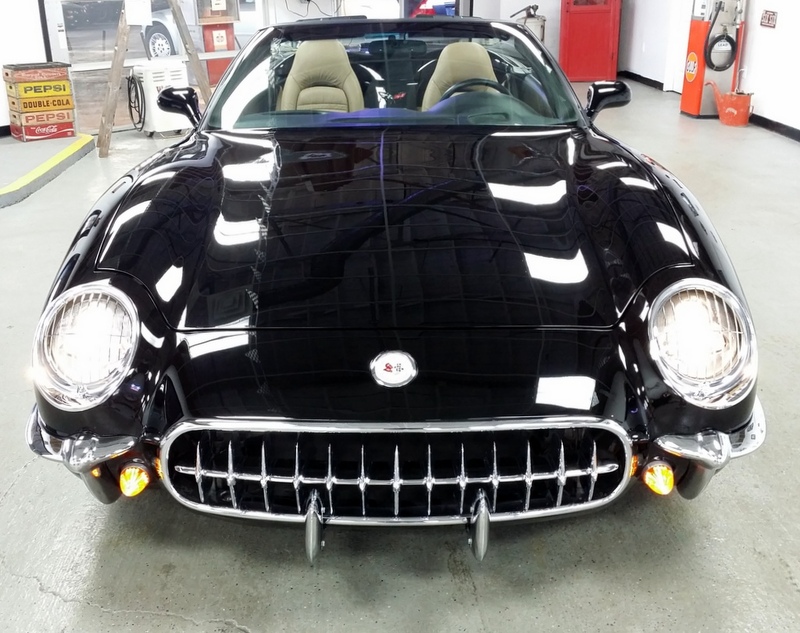 Modern Corvette with the Nostalgic LOOK of the early First generation Corvette! 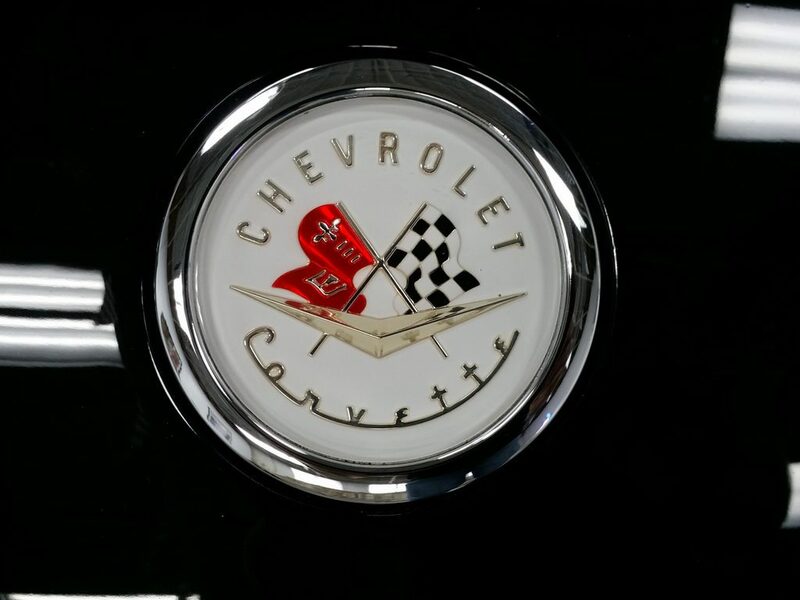 1953–55. 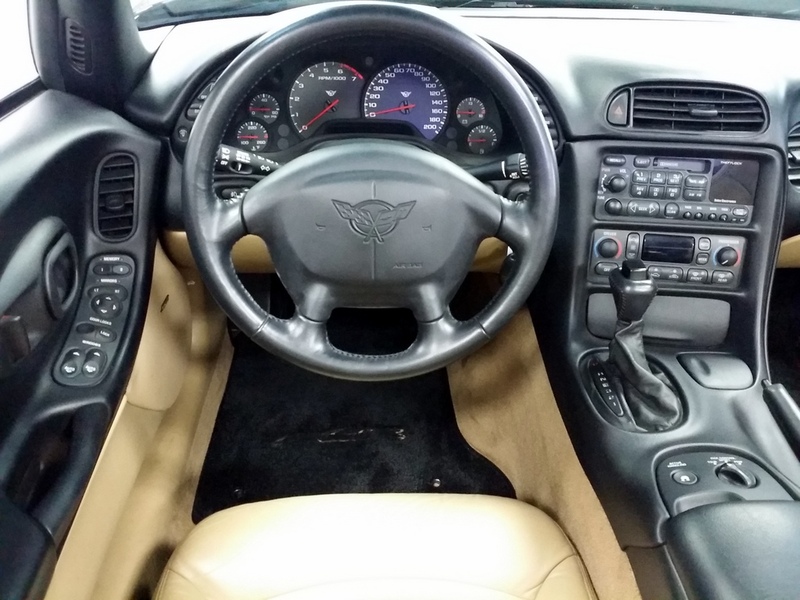 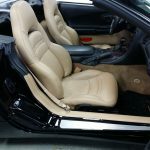 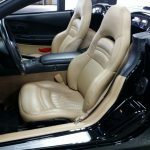 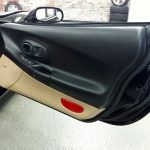 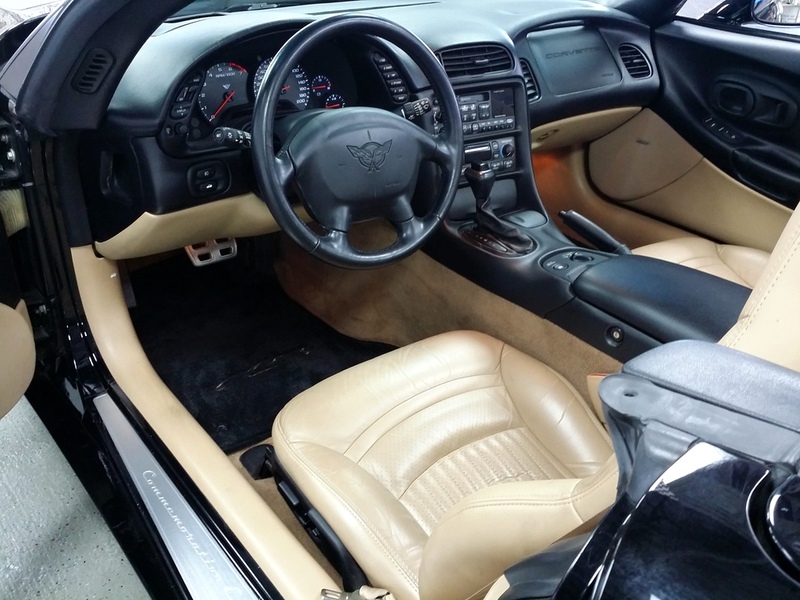 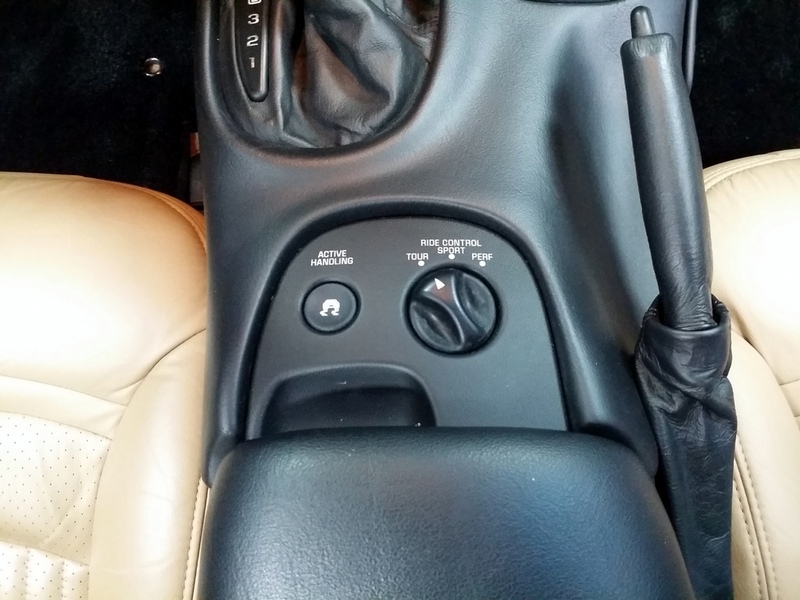 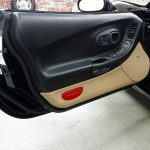 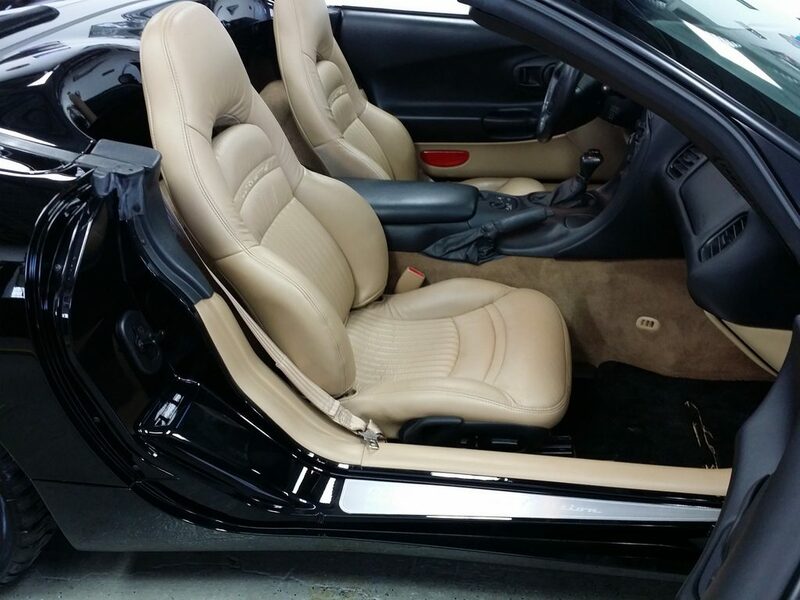 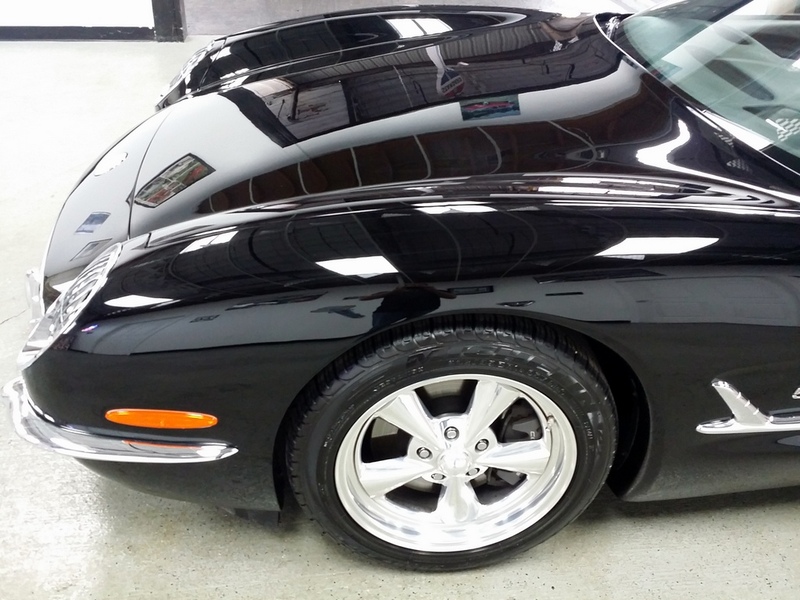 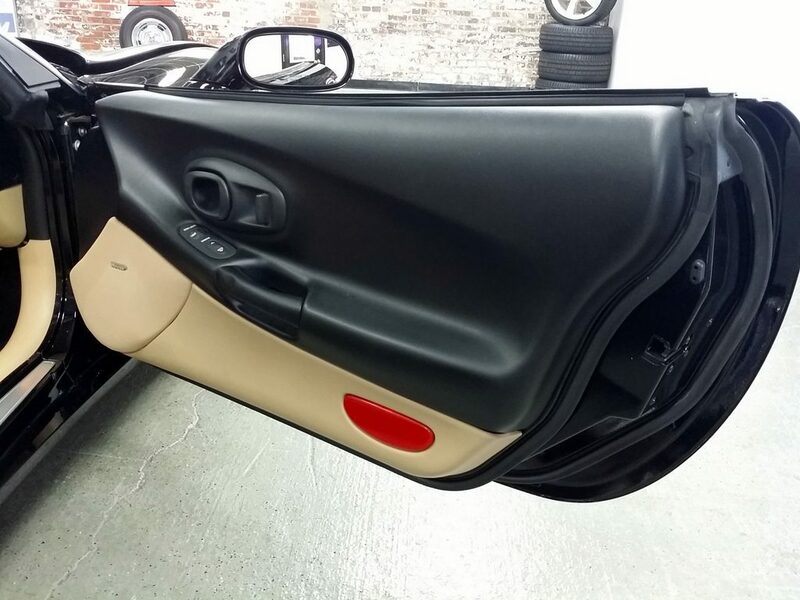 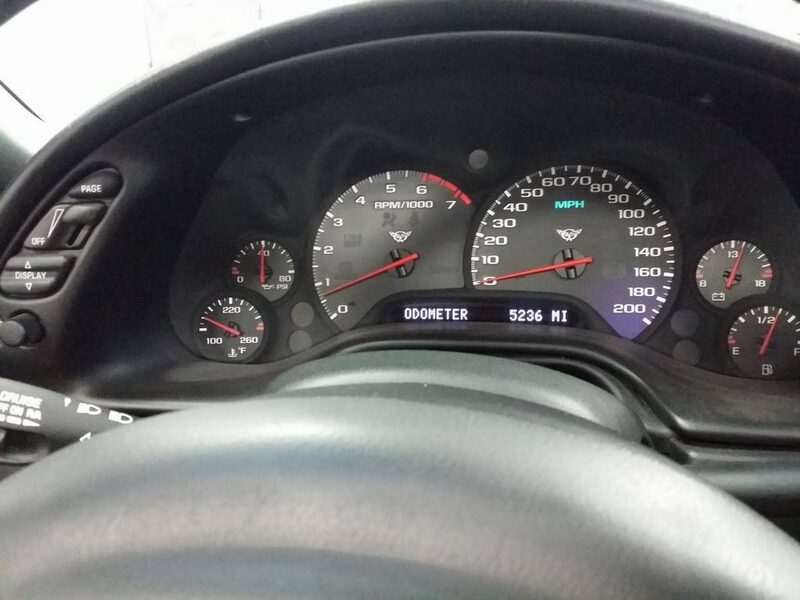 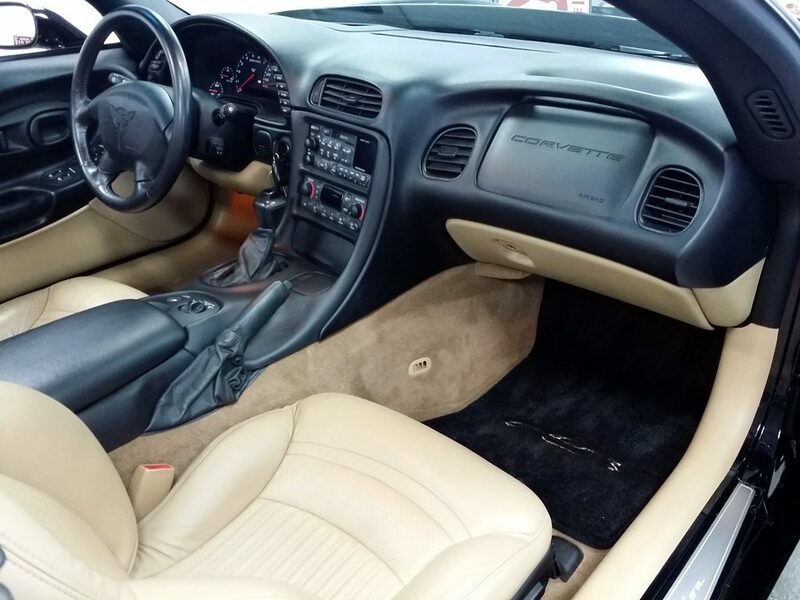 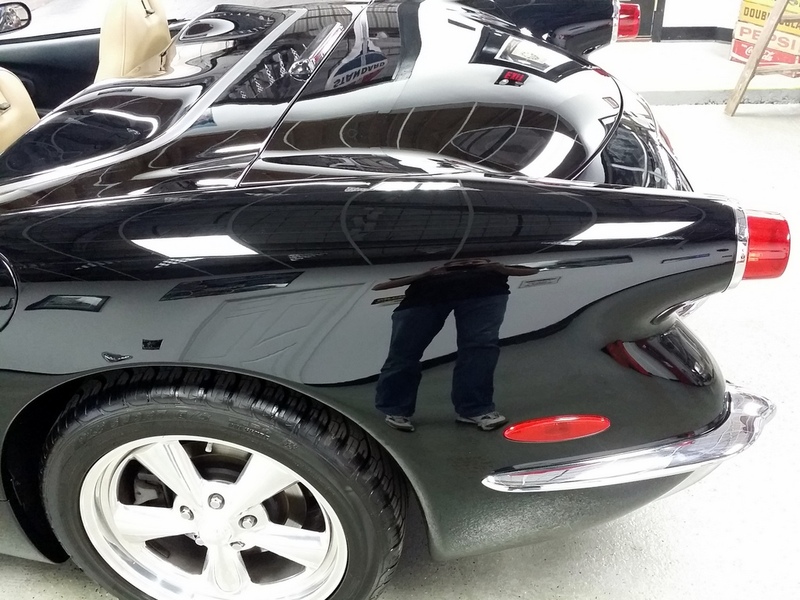 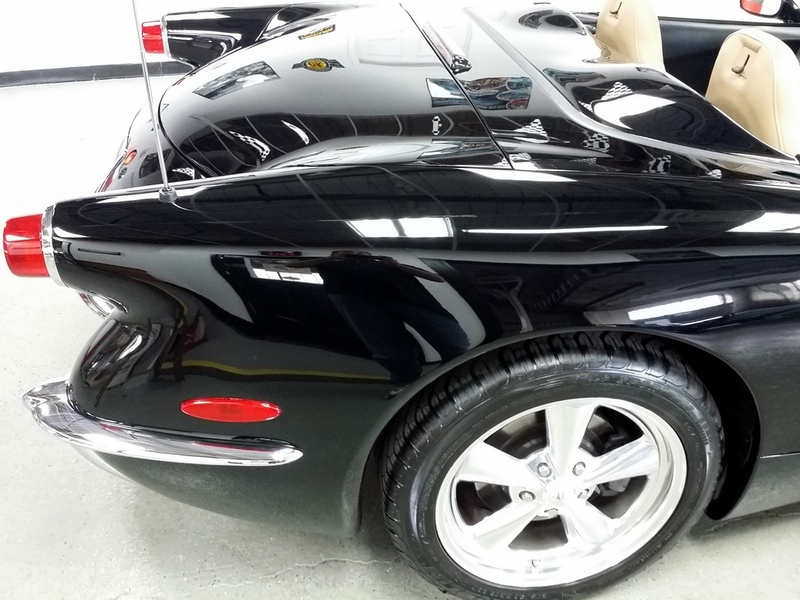 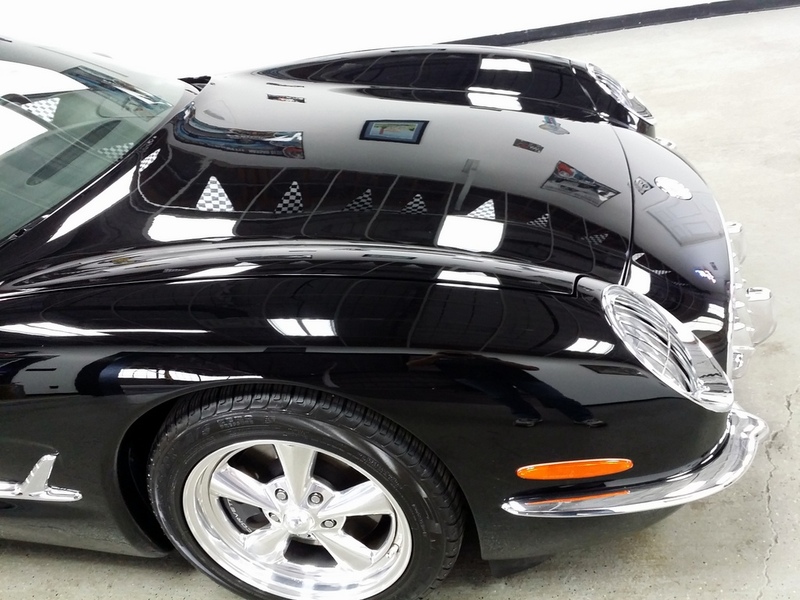 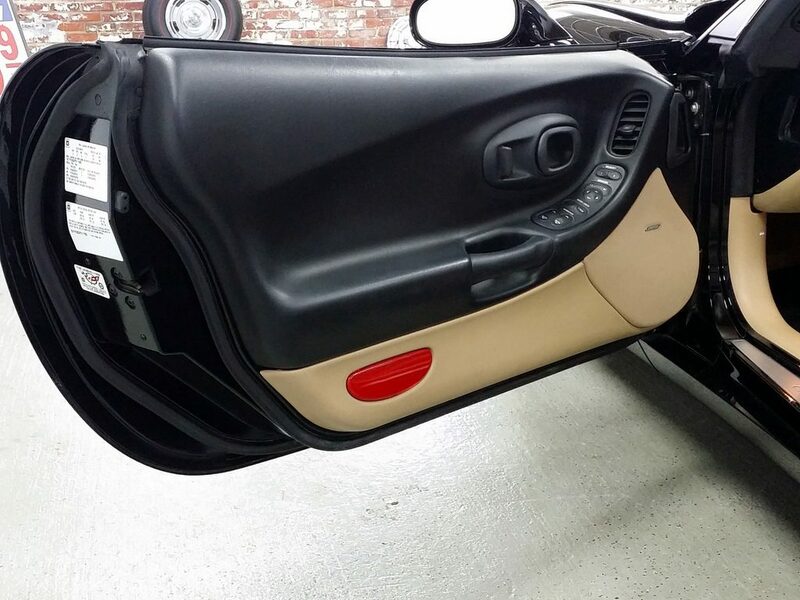 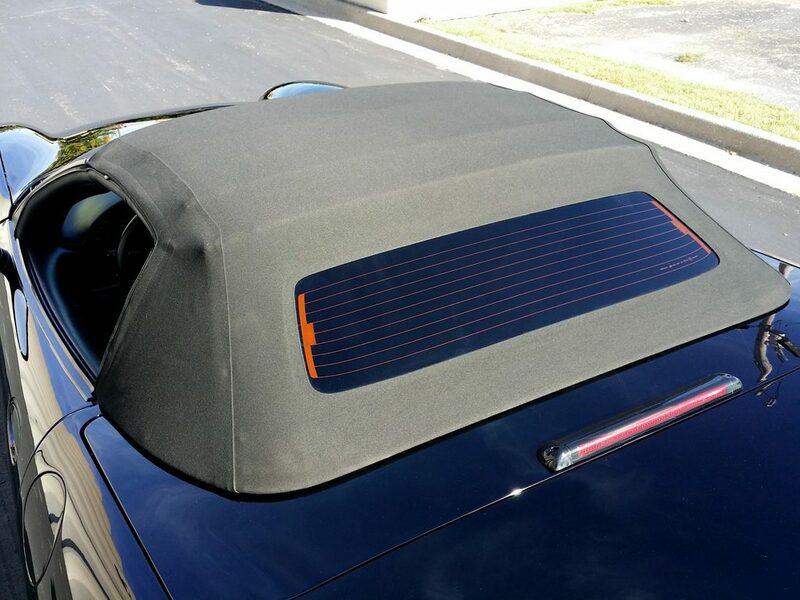 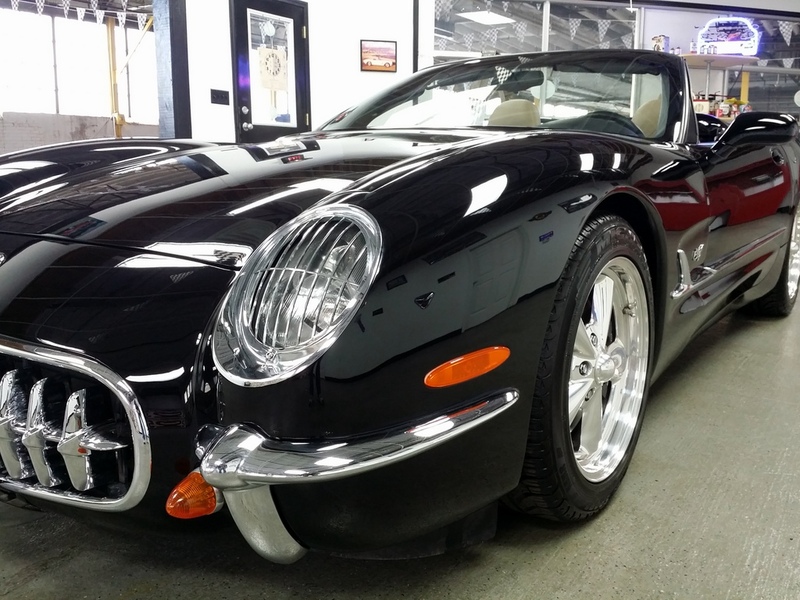 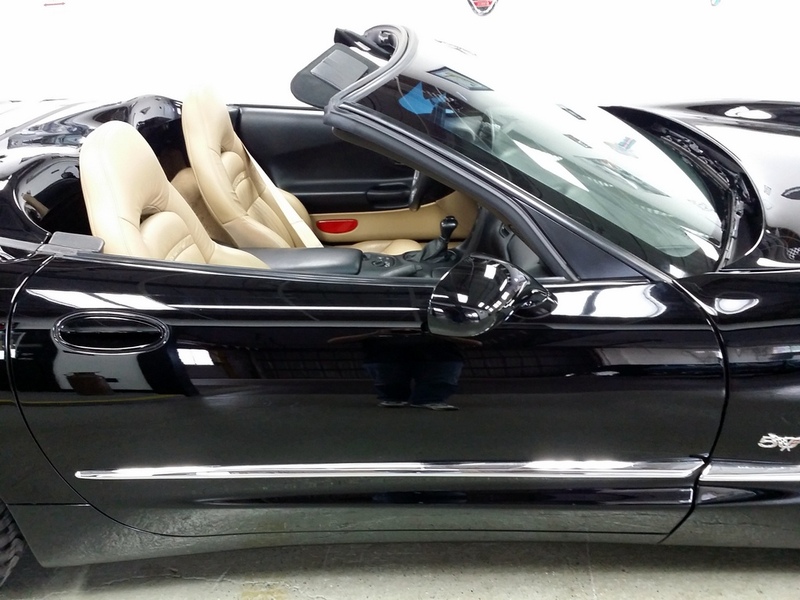 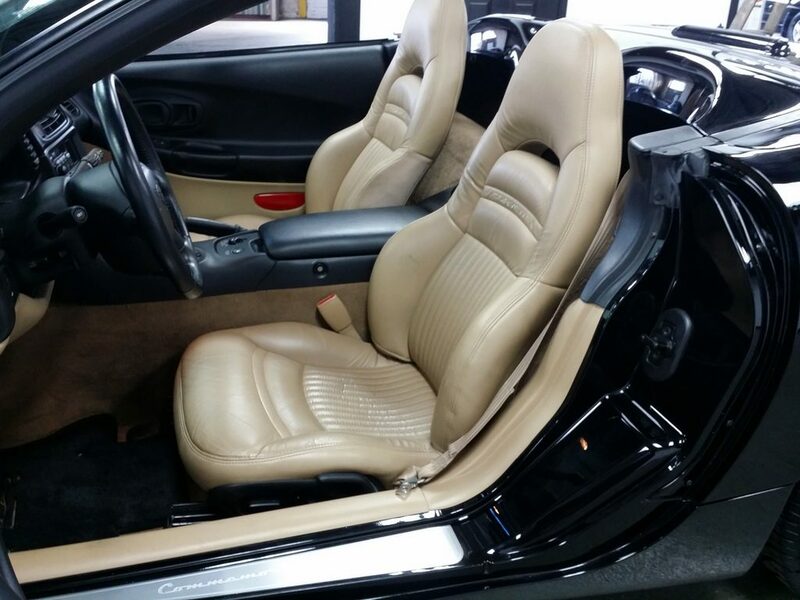 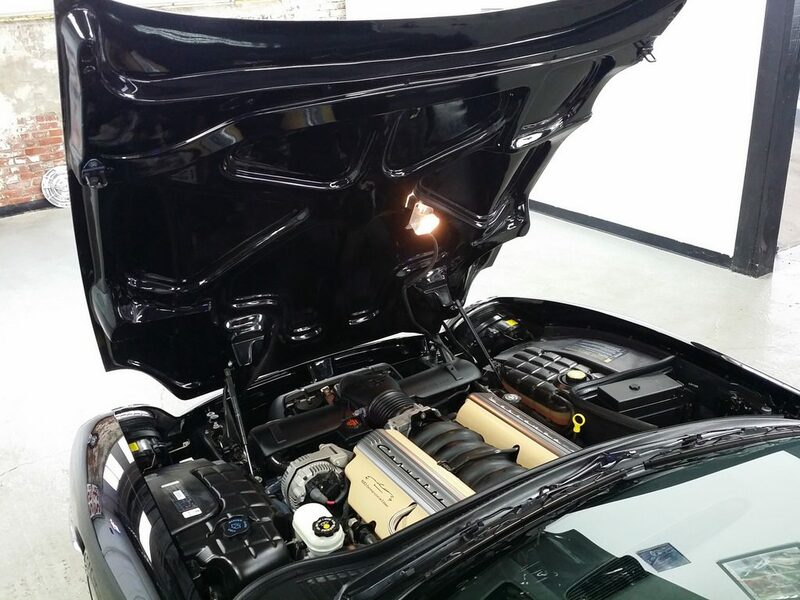 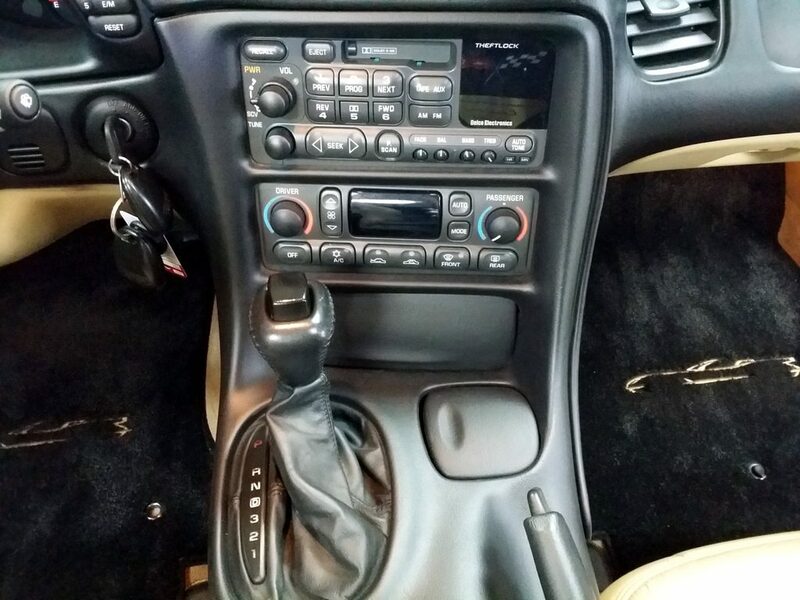 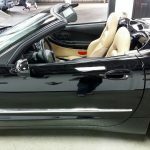 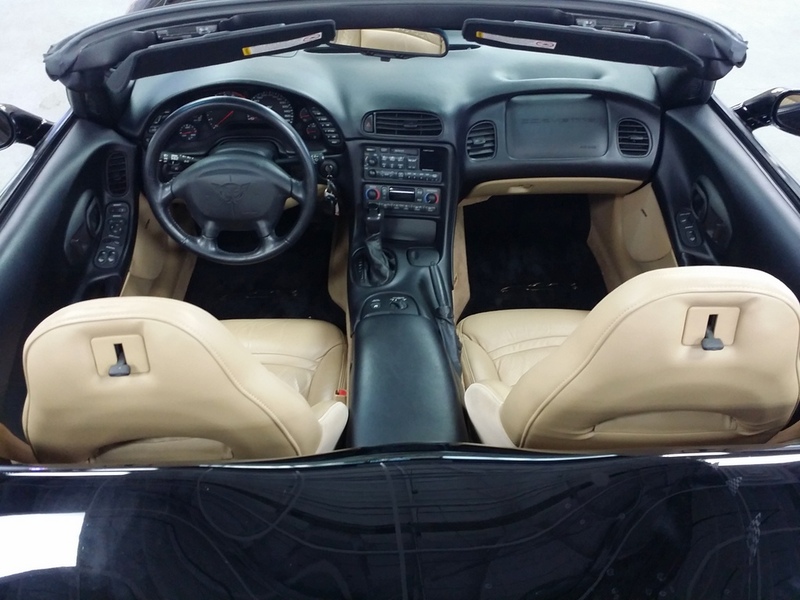 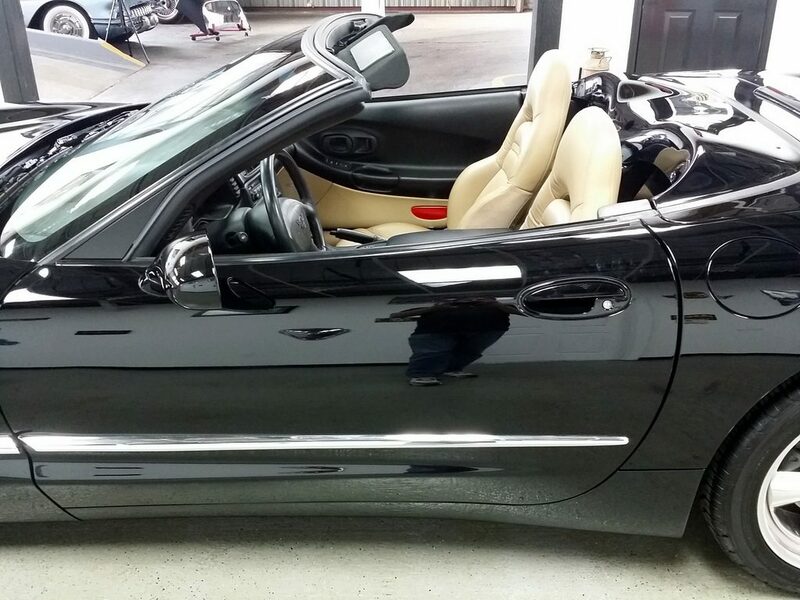 This is conversion #72 2000 Black/light Oak leather Only 5,240 miles on a Highly optioned Corvette. 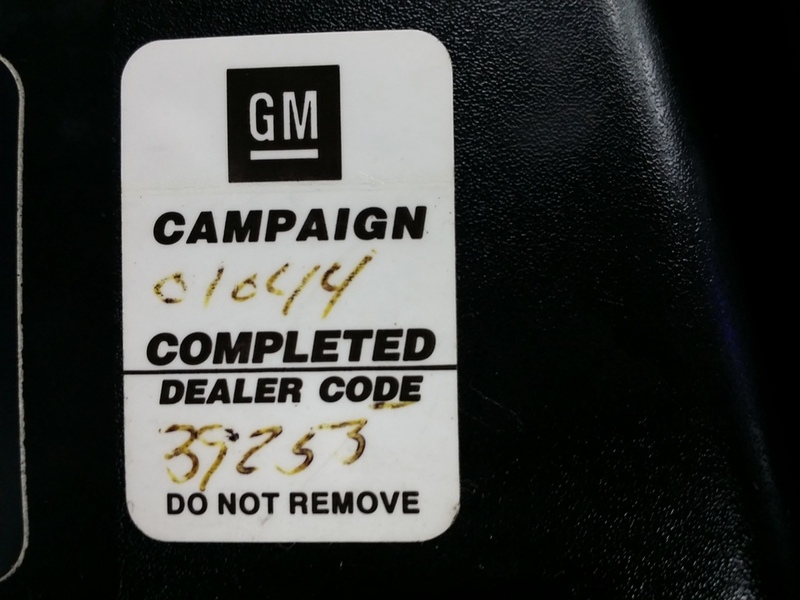 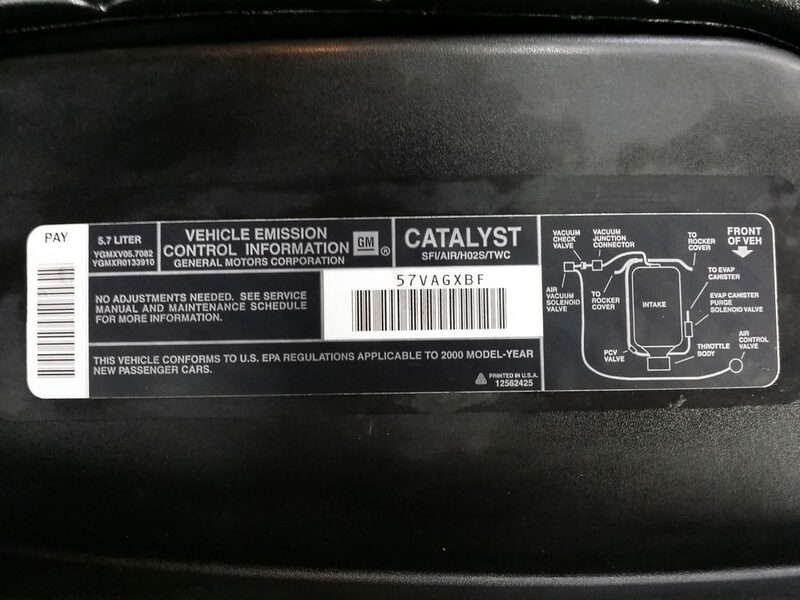 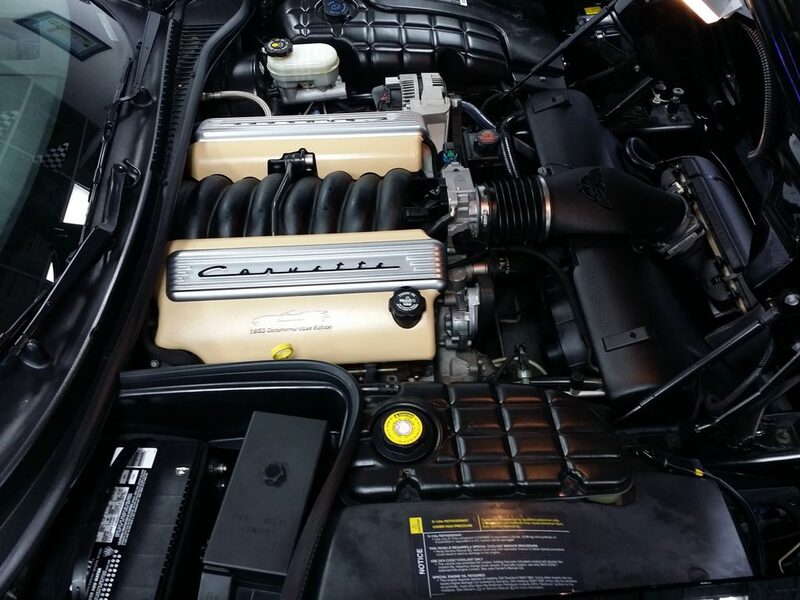 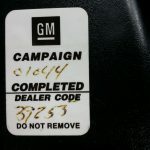 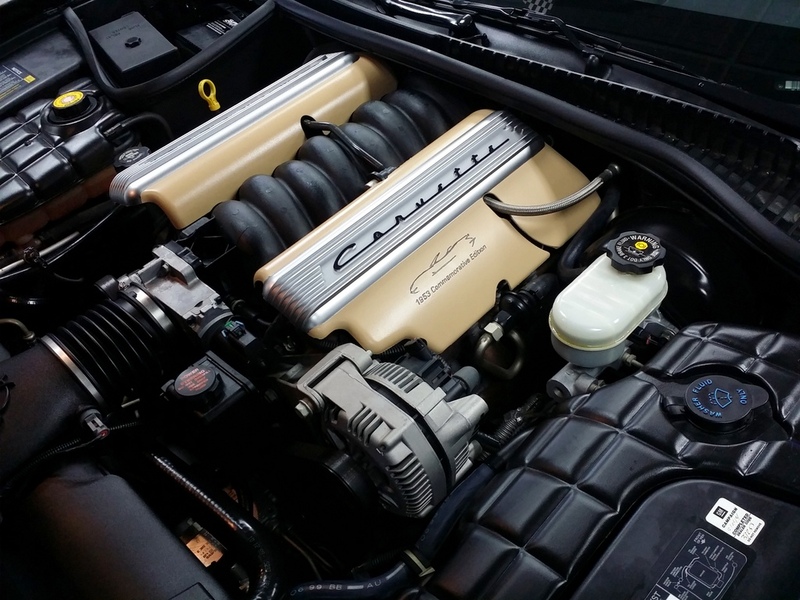 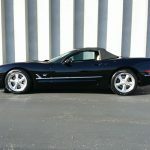 Delivered brand new to Chevrolet Dealer in Phoenix, AZ List price was $52,619. 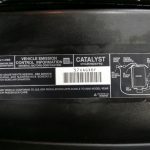 then add the cost of the conversion. 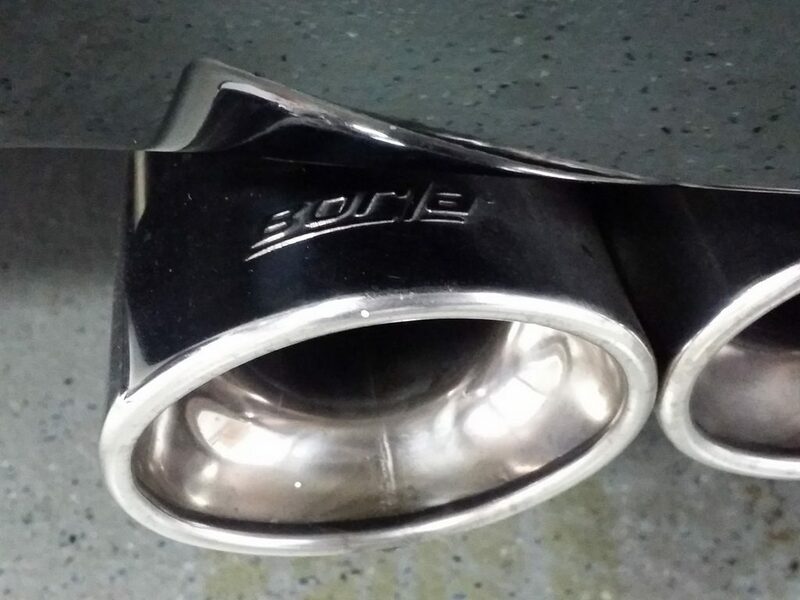 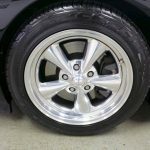 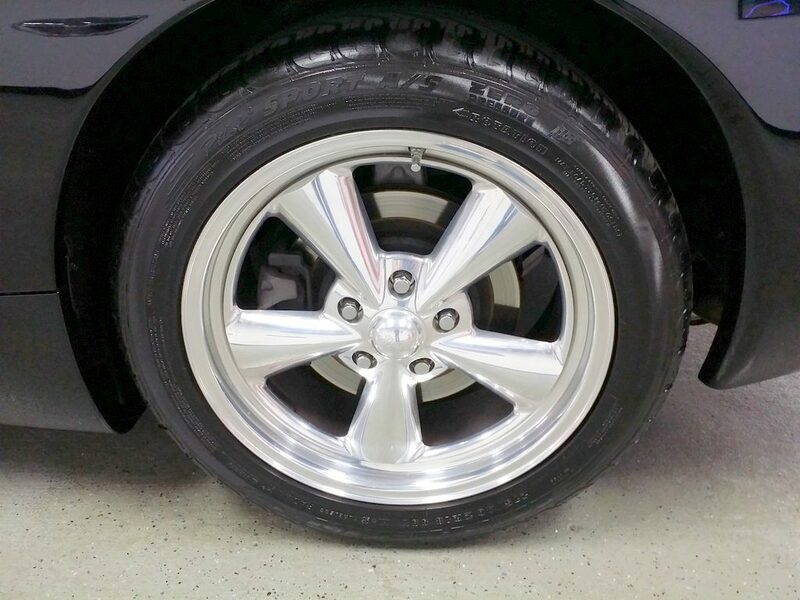 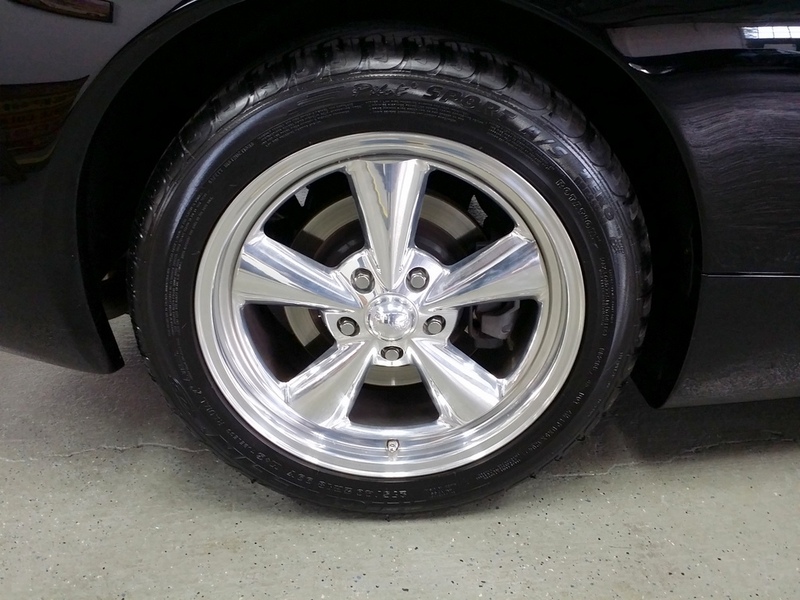 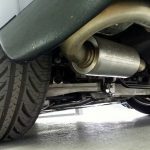 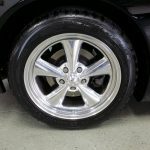 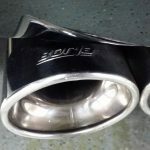 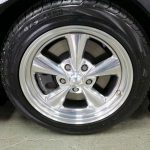 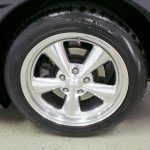 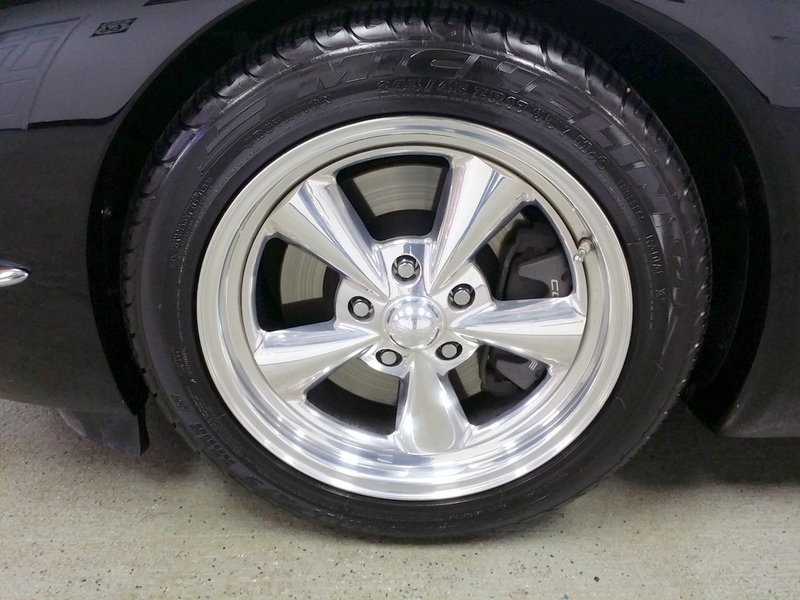 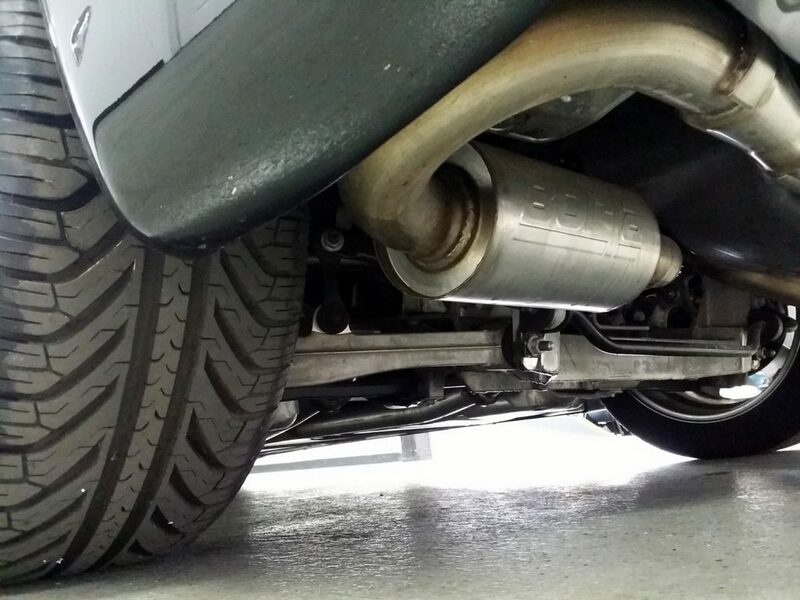 Special Custom Wheels (over $2,500– ), Borla Exhaust system. 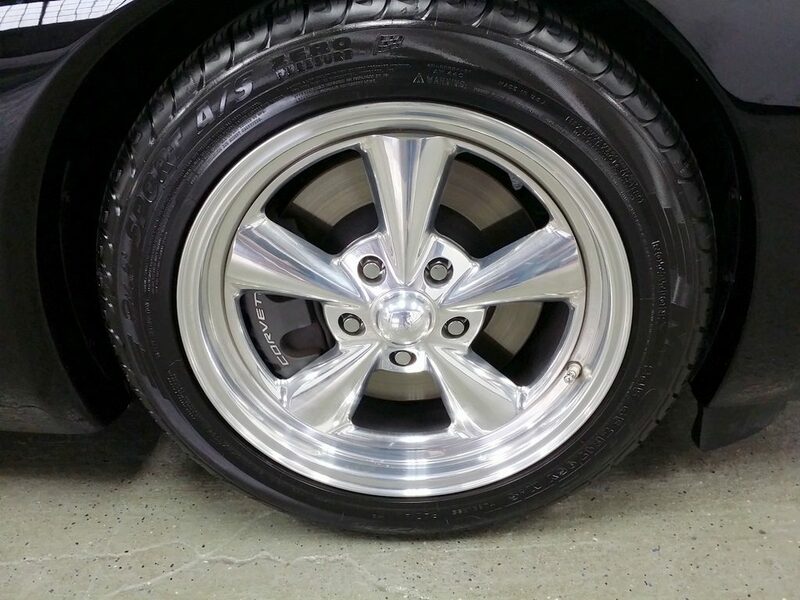 Michelin Run Flat tires. 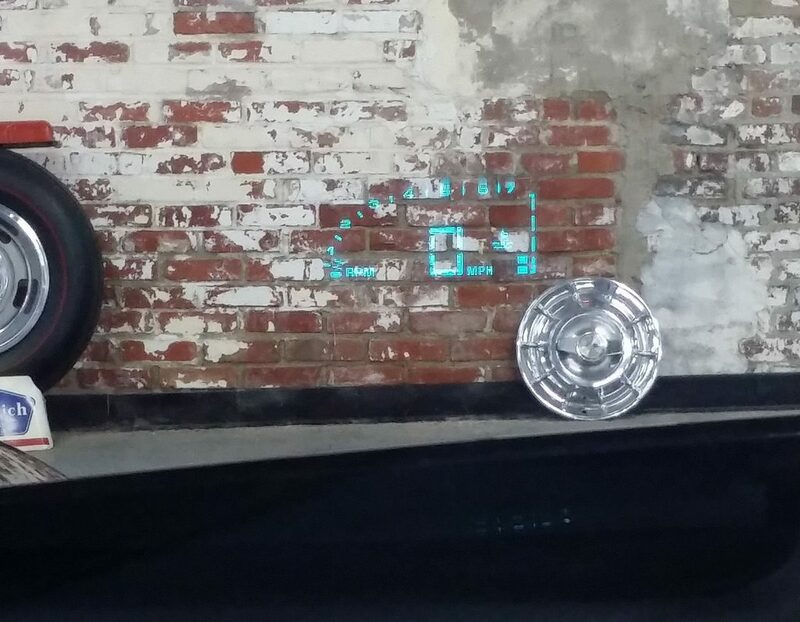 Well you get the idea. 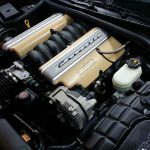 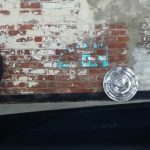 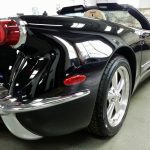 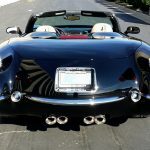 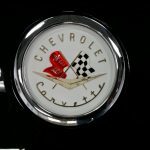 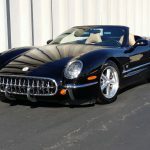 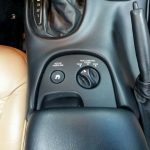 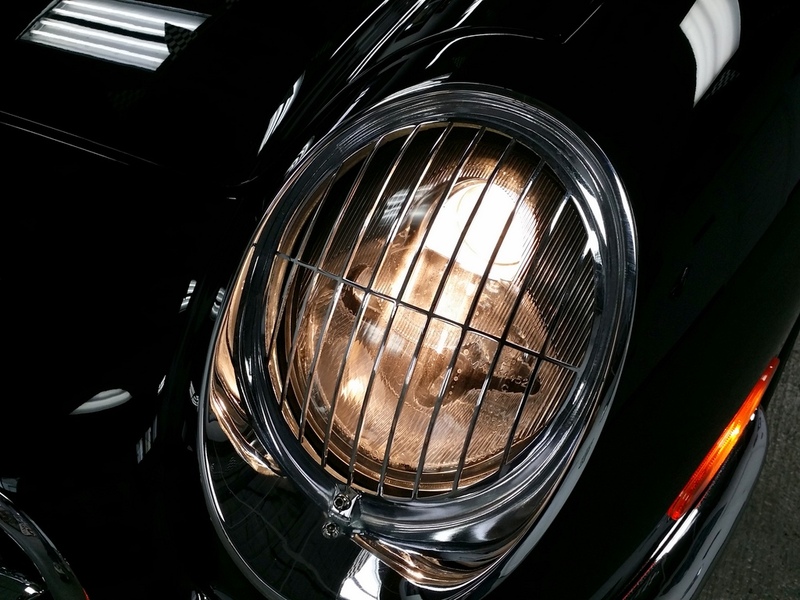 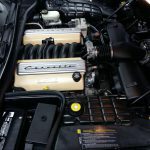 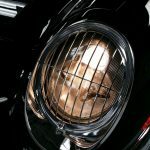 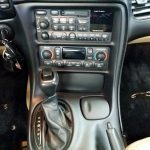 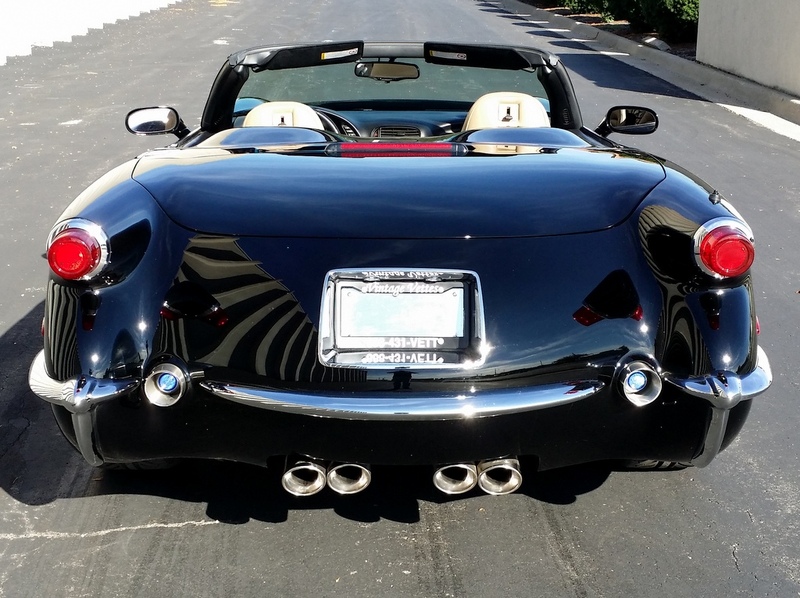 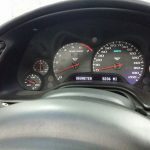 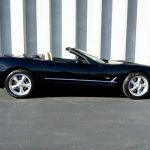 if you a person who shuns the spot light–attention, and not willing to interact with all the barrage of questions you will be asked— Please don’t consider the purchase of this Corvette. 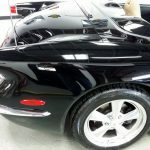 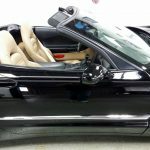 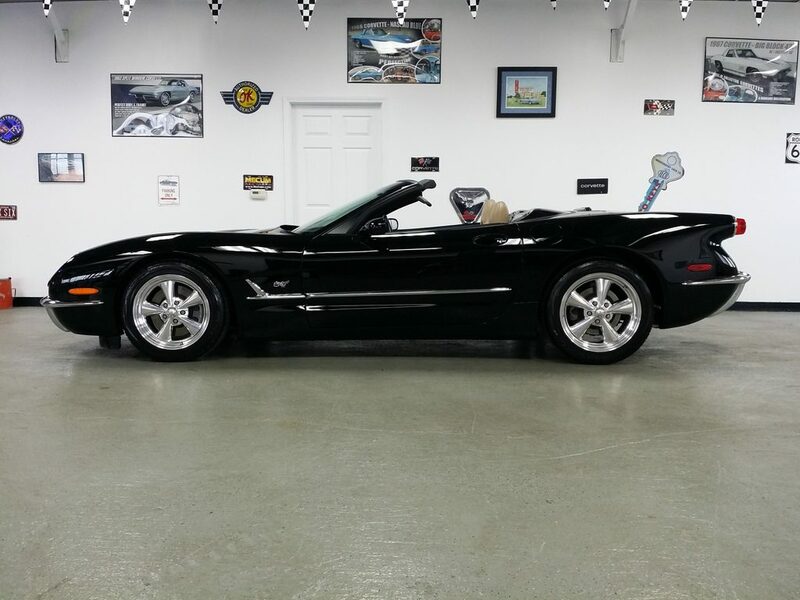 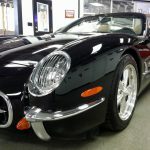 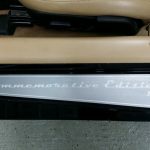 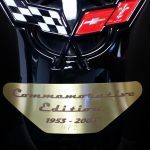 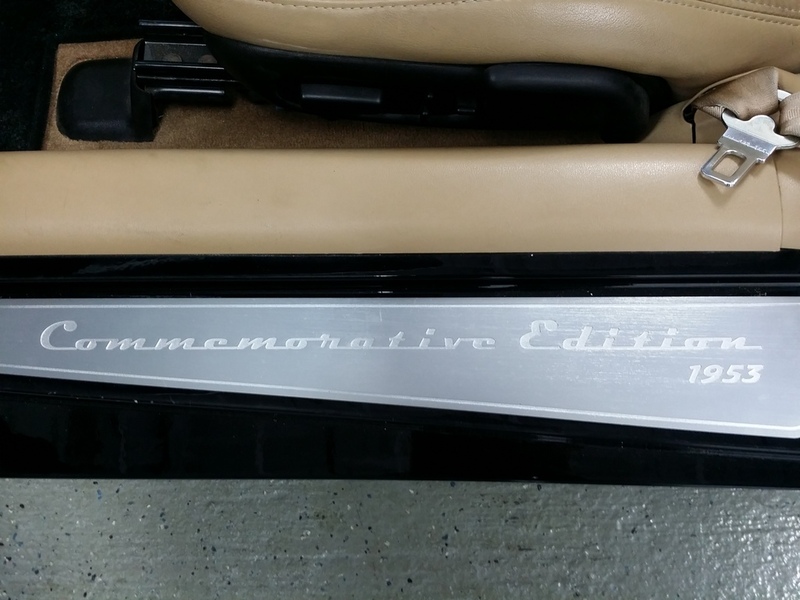 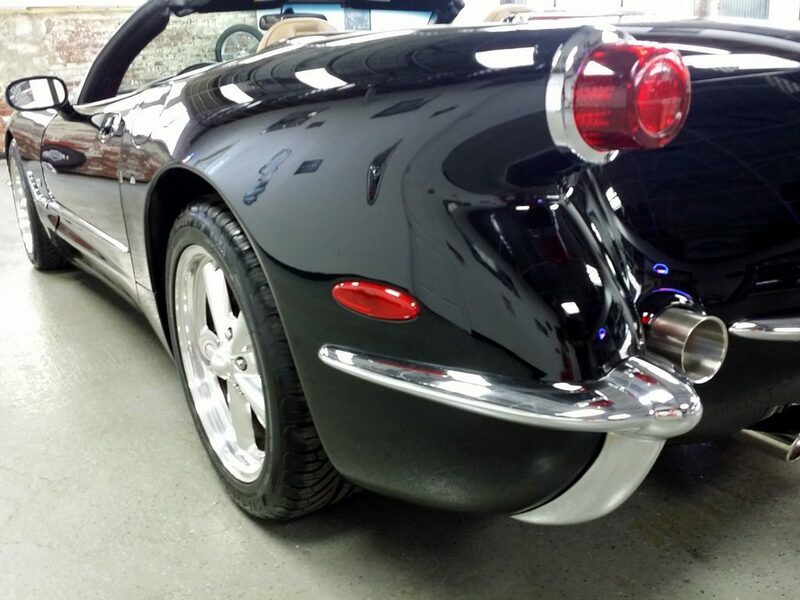 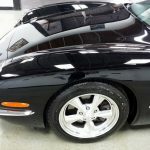 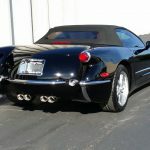 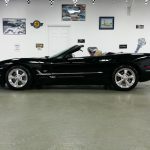 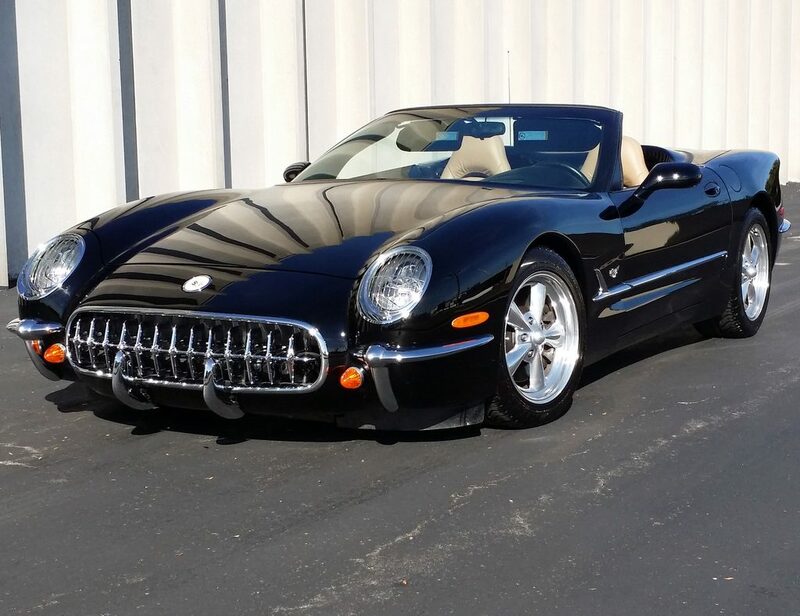 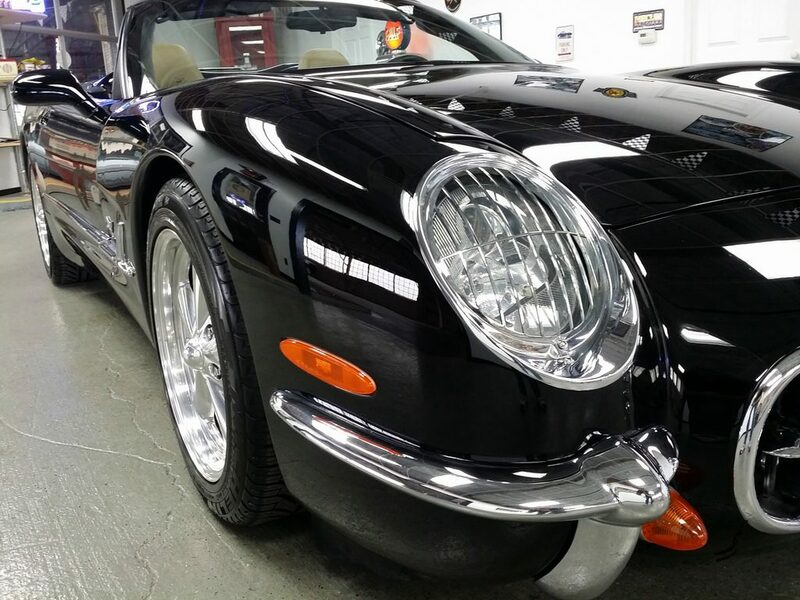 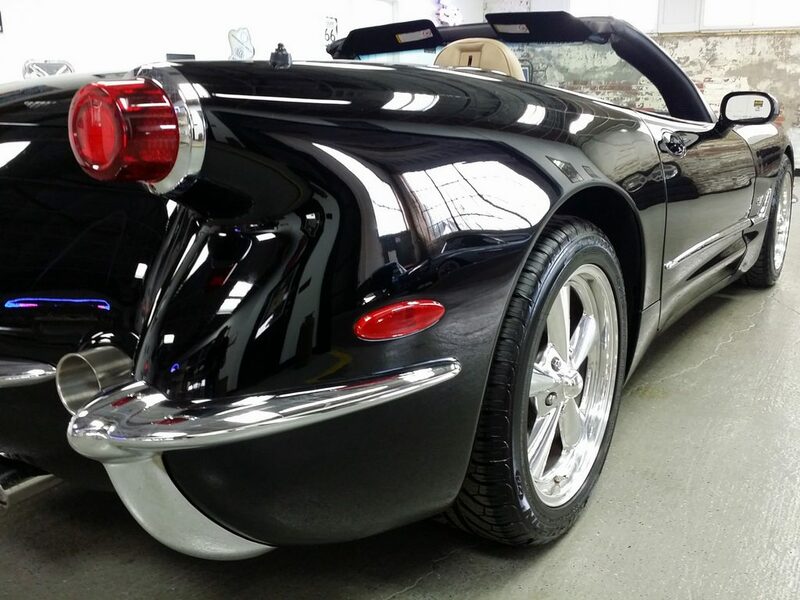 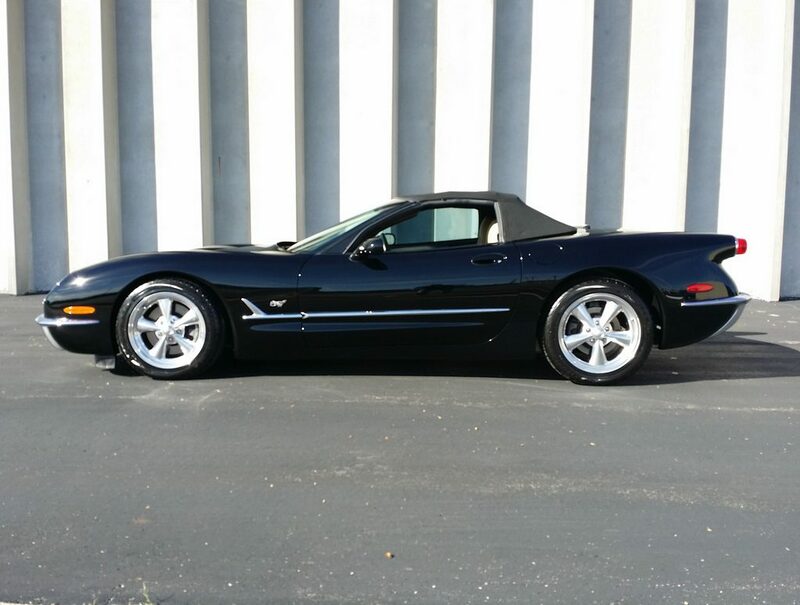 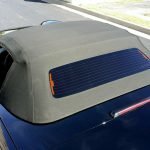 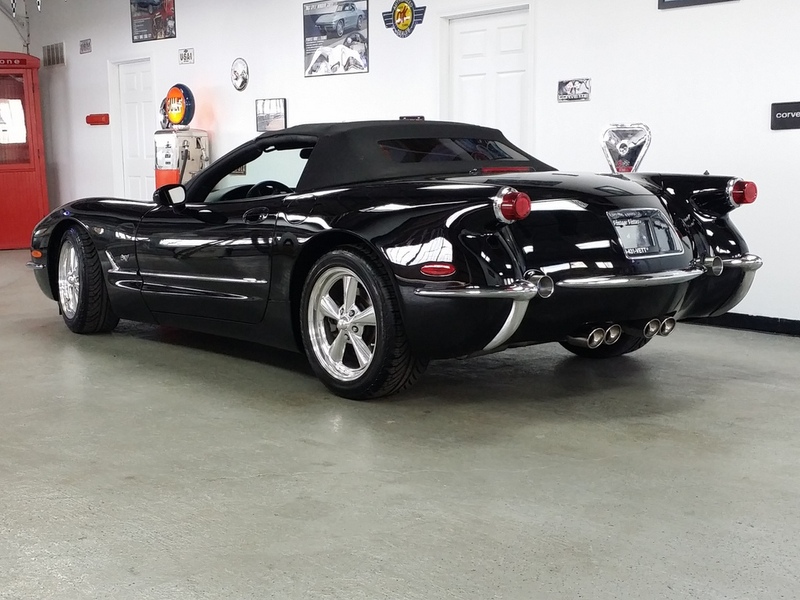 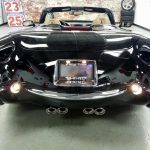 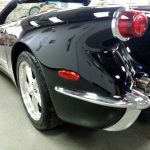 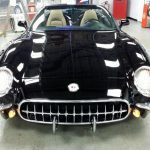 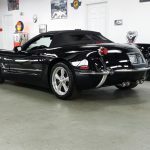 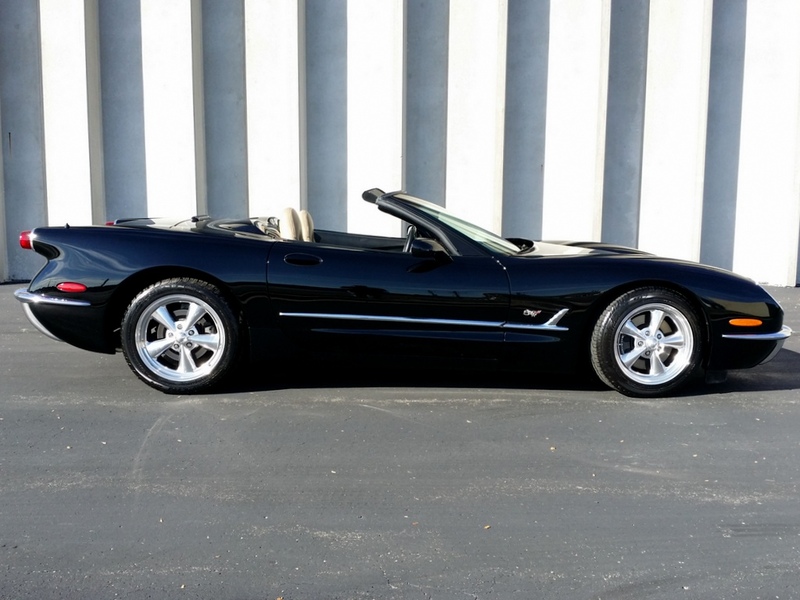 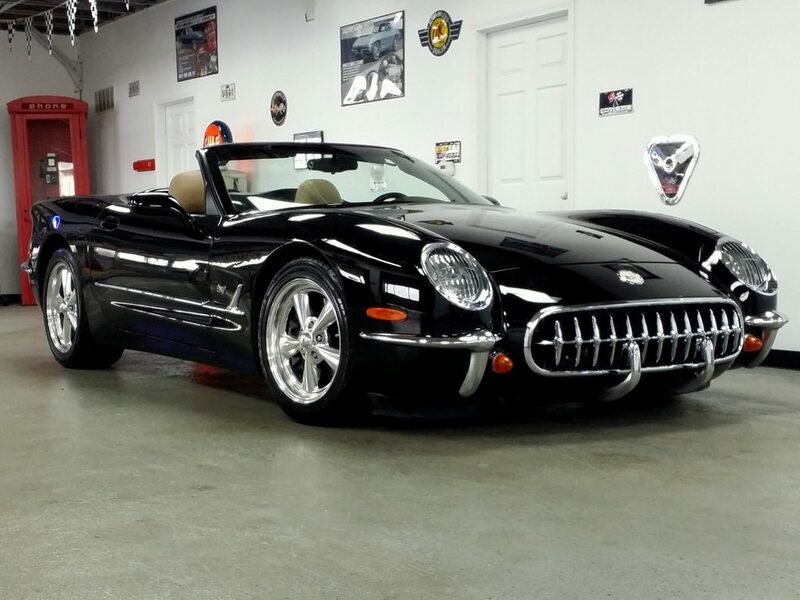 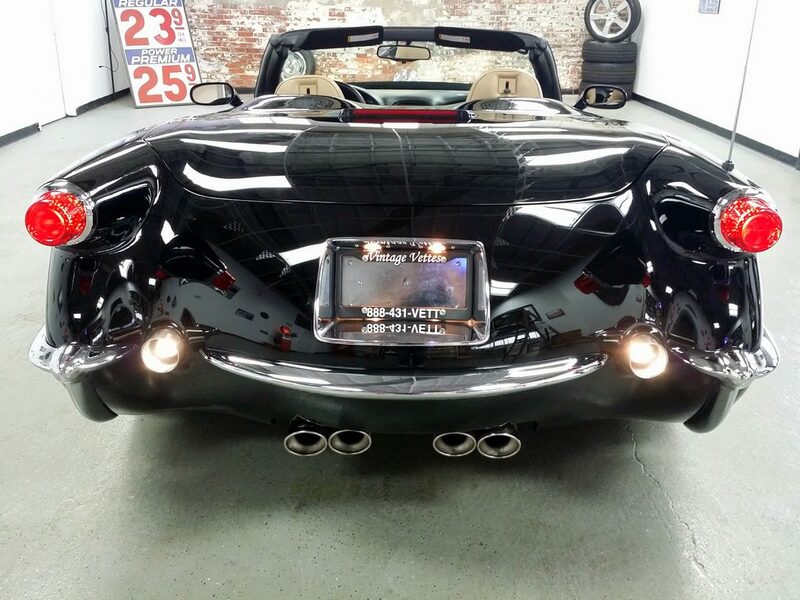 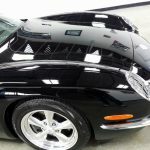 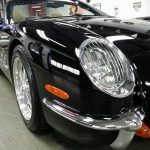 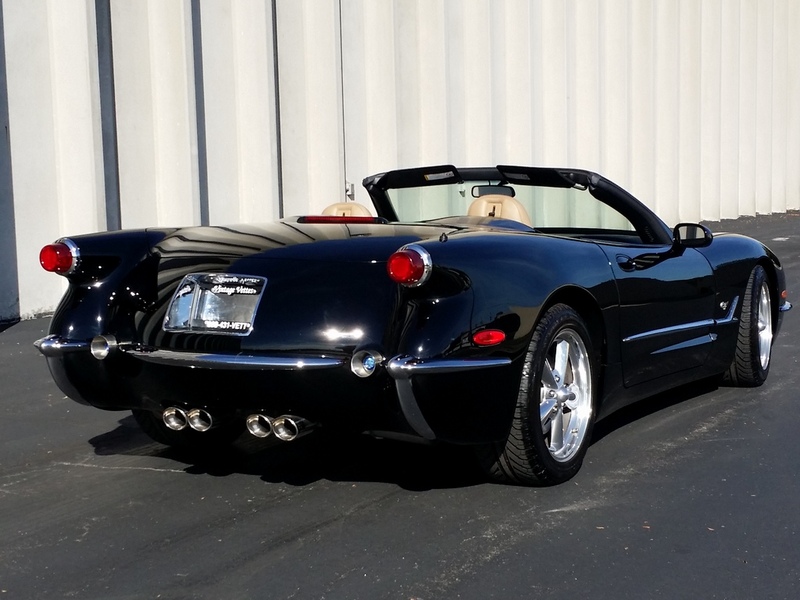 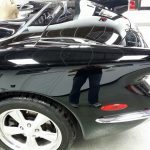 2000 Corvette Commemorative Edition Black/saddle Conv. "sold"